Welcome to day 5 of the 7 Days of St. Patrick’s Day Printables for Kids! Dot markers, other markers, crayons, etc. 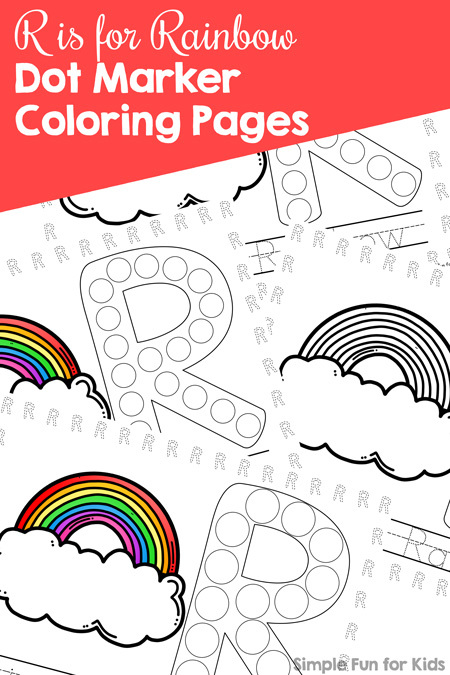 The file includes four pages of dot marker coloring pages. 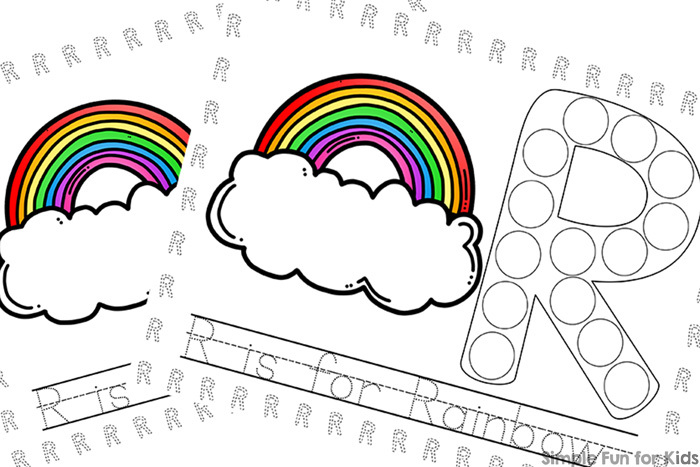 Each page has a large capital letter R outline with different numbers of dots, a border made up of smaller outlines of the letter R, an image of a rainbow behind a cloud, and the sentence “R is for Rainbow” in a lined, traceable font. 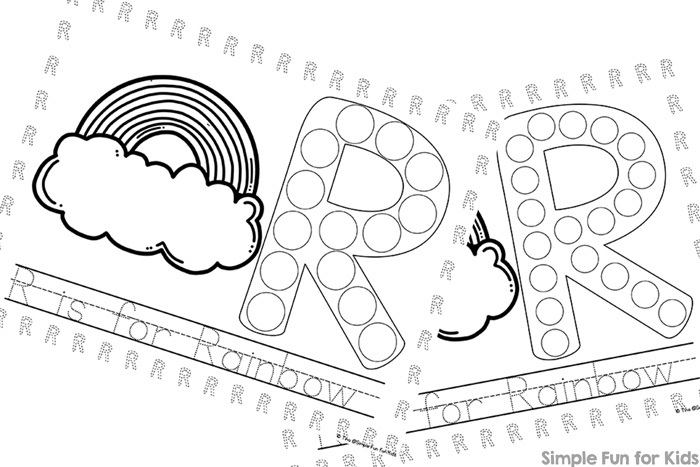 On two pages, the rainbow is in color, the other two pages are completely black and white. 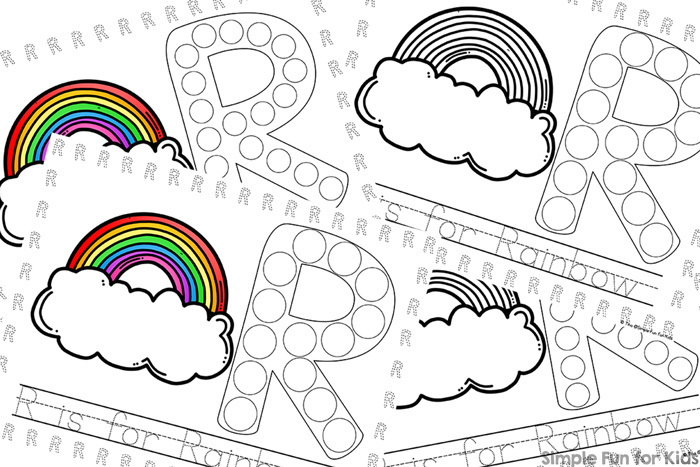 Download your R is for Rainbow Dot Marker Coloring Pages! Yes, I want the newsletter and the printable! 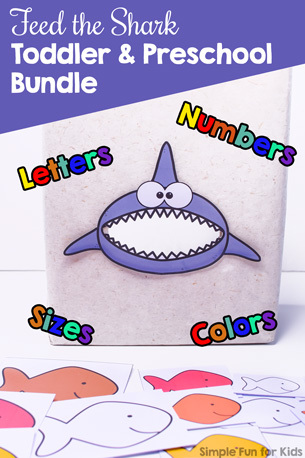 I’m already using feeding the Shark and kids love it, thanks for all.